For over four decades, the Ford F-150 has been a best-selling vehicle in America, cementing its spot in the hearts and minds of American drivers. The F-Series lineup includes more than just the F-150, however; it also includes the Ford Super Duty, which includes the F-250 and F-350. Here are a few distinguishing features of the 2019 Ford F-150 and 2019 Ford Super Duty. See which Ford truck would suit you best when you stop by Jack Bowker Ford Lincoln in Ponca City, OK to test drive both. 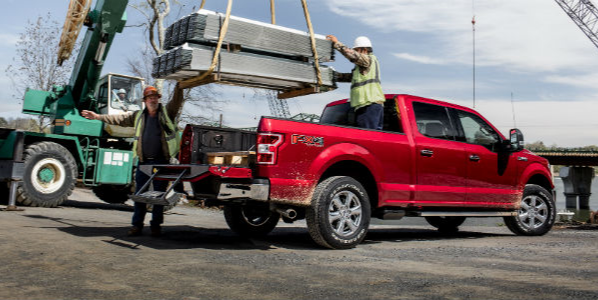 The 2019 F-150 features a remarkable six powertrain options, allowing you to customize the vehicle precisely to your power and capability needs. It comes equipped with a standard 3.3-liter V6 engine that delivers an admirable 290 horsepower and 265 lb-ft of torque, starting the lineup off on the right foot. With its High-Output 3.5-liter EcoBoost® upgrade engine, the F-150 delivers best-in-class 450 horsepower and 510 lb-ft of torque. Alternatively, its 5.0-liter TI-VCT V8 engine delivers best-in-class payload at 3,270 pounds, and its twin-turbo 3.5-liter EcoBoost® V6 boasts best-in-class conventional towing at 13,200 pounds. 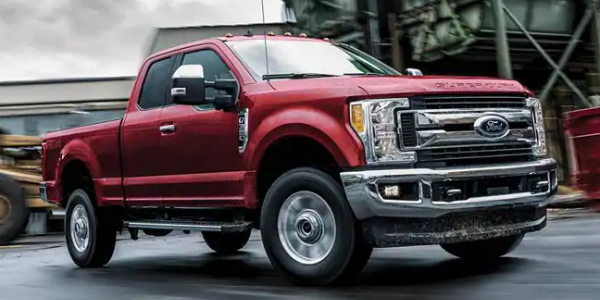 The 2019 Ford Super Duty takes everything you love about the F-150’s power and capability to the next level. Although it offers fewer engine options than the F-150, its two engines offer everything you could possibly need on the worksite or during summer adventures with the family. The Super Duty features a standard 6.2-liter Flex-Fuel Gas V8 engine that delivers 385 horsepower, best-in-class 430 lb-ft of torque, and best-in-class payload. The 2019 Ford Super Duty’s second engine is the breathtaking 6.7-liter Power Stroke® Turbo Diesel. This remarkable engine offers 450 horsepower and 935 lb-ft of torque as well as unparalleled towing capability. For instance, this engine boasts a best-in-class conventional tow rating at 21,000 pounds and a best-in-class gooseneck tow rating at 35,000 pounds. Complementing these engines are Ford’s state-of-the-art trailering technologies, making the 2019 Ford Super Duty beautifully capable.